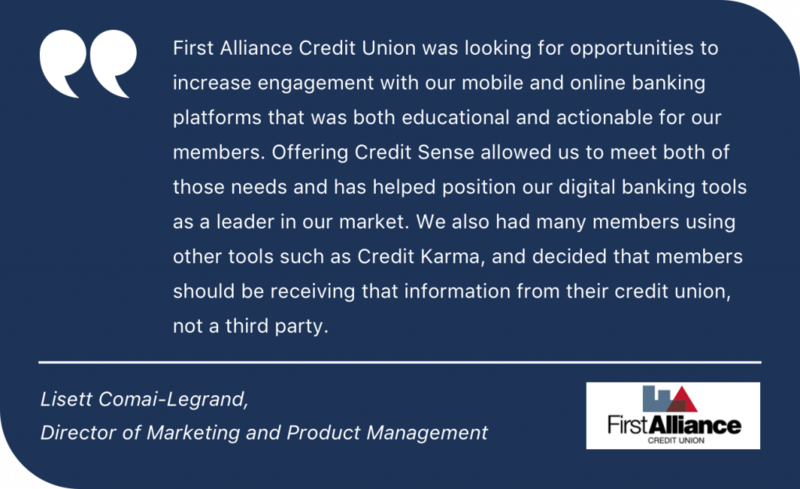 Like many credit unions across the United States, First Alliance was searching for a solution to increase engagement in online and mobile banking. Like other community financial institutions, they know their members are being inundated with information from competition, such as other credit score sites or the big banks. More than just increasing applications, they’re interested in showing members where the credit union can save them money with money-saving offers. They needed a solution to break through the clutter, educate their members, and position themselves as a leader in the market. They selected SavvyMoney’s Credit Sense. Members can keep tabs on their credit score and full credit report anytime, anywhere. Easily see cross sells and other money saving offers from the credit union with the pre-qualified offer engine. Personalized credit report card grades share deeper insight into a member’s credit profile. No logins to remember, the solution is integrated directly into online and mobile banking. With an admirable marketing approach including email, social media, and website promotions, they saw impressive results in the first month. 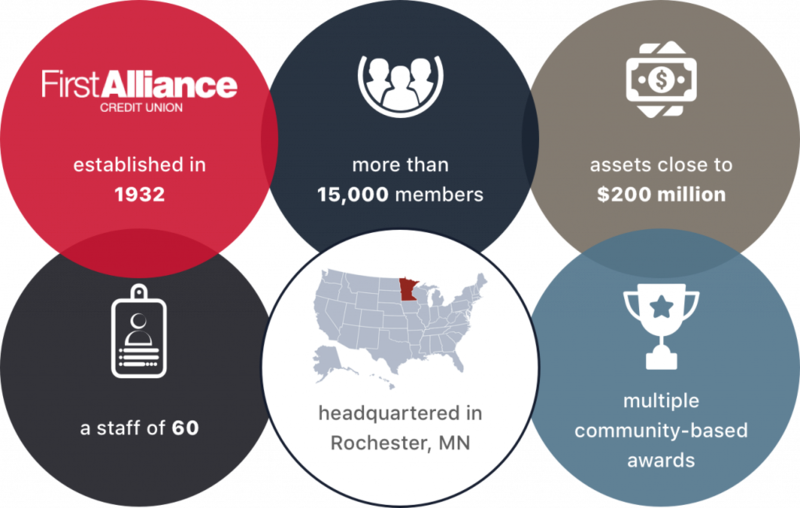 First Alliance Credit Union saw an increase in loan applications and increased member engagement with online and mobile banking after launching SavvyMoney’s credit score solution. * SavvyMoney’s Credit Score solution is branded as Credit Sense for Fiserv partners. You’ll see this document reference Credit Sense, it is the same tool as SavvyMoney’s Credit Score.